We are all interested in what our future holds for us. The Personal Year will help you understand this and will provide you with a lot of benefit. When you know what may be coming up, you will be able to work towards it better. Once you know of the influences around you, you will be able to outline the opportunities and determine how to take advantage of them. When you look at life from the numerological point of view, you will know that each year contributes to a pattern that evolves continuously. The cycle is known as epicycle or the nine-year cycle. Thus, your life can be divided into nine steps. With each year, right from the time you were born, the cycle continues. Once the nine steps are complete, you start from the beginning again. Things start off with Personal Year 1 and then move to Personal Year 2 through to the Personal Year 9. The Sun rules this year. This year marks the start, and that is why it is extremely important. Thus, whatever you start at this time will be very important. The year brings a lot of energy and enthusiasm. Moon is the ruler planet of the Personal Year 2. The year is all about consolidation. You should be patient, and you should go with your intuition during this time. Just relax with those whom you love, and have some nice times. The personal year 3 is a happy year which will bring you happiness and success all through the year. You will be socially active in this year. You will call up all your old friends and also include many new friends. This is personal year 4 and you need to work hard throughout this year. You must understand how to tackle the work in hand and this will require lot of hard work from your side. The number 5 year turns out to be a major life changer for you. Your growth cannot be stopped this year and you expand your success. Personal Year 6. You will be very attached with your family and friends. This year will force you to change your lifestyle for the benefit of your family. Personal Year 7 is a year of analysis and understanding. This year will be very helpful for you to understand about yourself and it will include the reflections of all years of your past life.. Personal Year 8 is a year attainment and capital gains. The year is the best time to start out a new venture which will give you necessary confidence and authority. 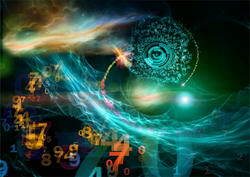 Numerology Personal Year 9 - Reflection and reaching out. Many activities and things from the past will come to an end in this year and this year will mark the completion of your 9 year personal cycle.